Our goal is to build mutually beneficial partnerships with our vendors for the long term. Okay, that sounds great, but HOW DO WE DO IT? AEL offers unparalleled leasing and financing programs to increase business, minimize risk and manage transaction efficiency. We offer personalized financial assistance from a trusted adviser who gets to know YOUR business so we can help you get to it. If you are not offering lease financing to your customers, someone else is. 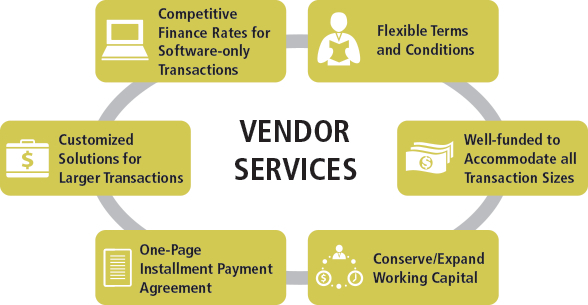 Our platform allows vendor partners to manage their entire sales finance process on a national basis without having to build an infrastructure and invest capital. It offers one-stop shopping, boosts profit margins and closes sales faster. OUR TRAINING WILL HELP YOU CLOSE DEALS!